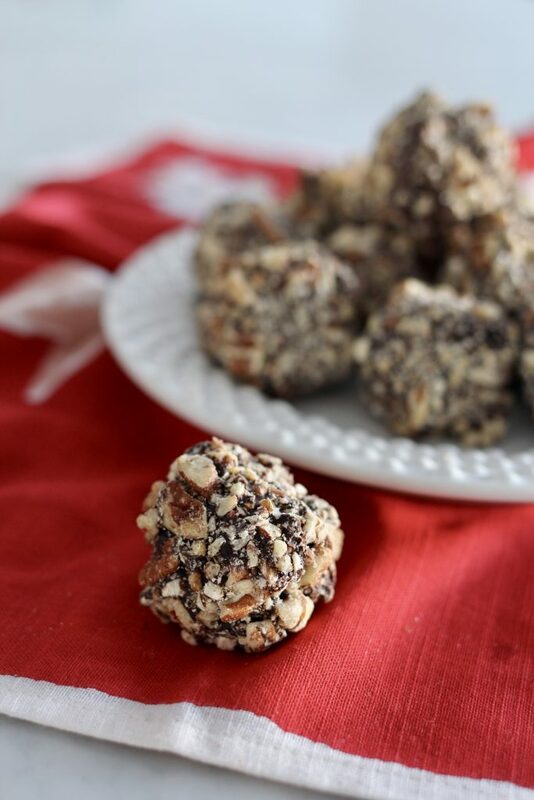 Peanut Butter Balls. They are round peanut-butter-nutty-chocolate wonders that have been in the Lauder-Foster family for 4 generations. 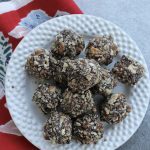 Peanut Butter Balls are similar to the popular homemade confection called Buckeye Balls, but these are completely dipped in chocolate and then rolled in chopped nuts. I was first introduced to Peanut Butter Balls in 1982. My mother in law and sister in law, Sheri volunteered to make treats for our wedding. For months we gathered together on Thursday nights, to roll Peanut Butter Balls. We would make, dip, roll and then freeze the ingredients into little balls of perfection while we watched Knots Landing (a night soap opera spin-off of Dallas). I went with my mother in law to purchase the ingredients for this treat to Orson Gygi, a kitchen specialty store off of 3300 South in SLC. I was first introduced to Gygi’s by my mother in law, Doreen and was fascinated with everything Gygi’s offered in one store. It was like heaven to me! So many types of chocolate, nuts, sprinkles, flavorings and kitchenware items galore all sold in bulk. Everything from baking pans to the little clear plastic plates we purchased for our reception were (and still are) available at family owned Orson Gygi. Gygi’s is still my favorite stop for everything kitchen and cooking related in SLC. Oh, and how’s this for coming full circle- I now teach cooking classes at Gygi’s . 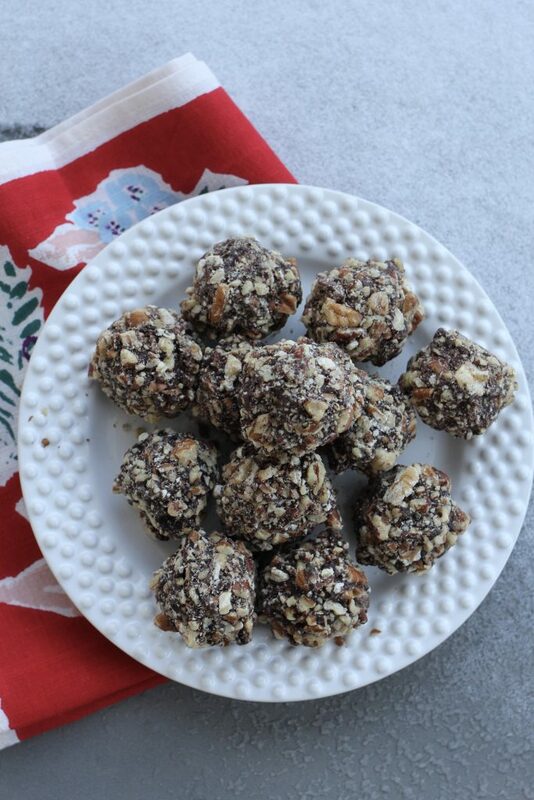 The original Peanut Butter Ball recipe came from Doreen’s mother, Eveline Lauder. Grandmother Lauder was born in 1919, and passed in 1999, but her legacy lives on. She was an impeccable dresser. She worked at Beaton’s Clothing store for years in Canada and in the U.S. Eveline Lauder took hours to get ready, and never left the house in sweats, or anything casual. She loved being a woman! 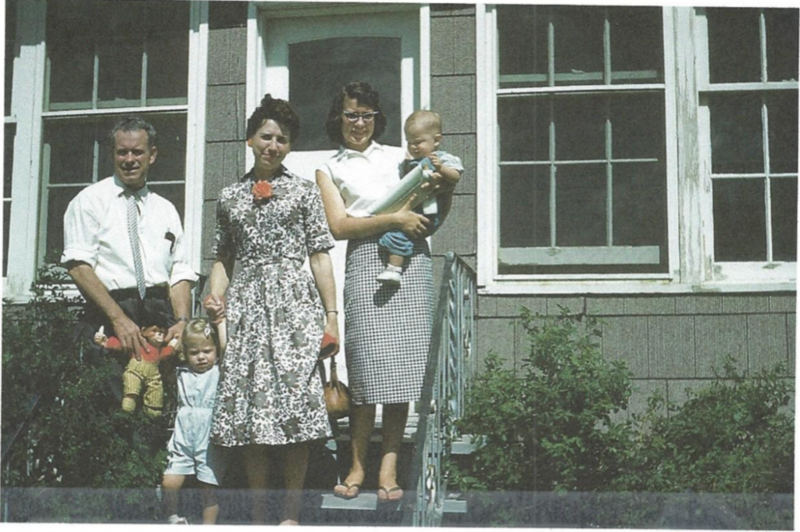 Photo of Grandfather Lauder, Sheri, Grandmother Lauder, Doreen and Janay about 1959. One time I remember she had an early flight to take after a family wedding, instead of going to bed, Grandma stayed up and got ready- dressed, makeup on, hair fixed. The whole nine yards. Then she just sat upright on the sofa, and waited until it was time to go to the airport! She was a generous, loving and kind woman. 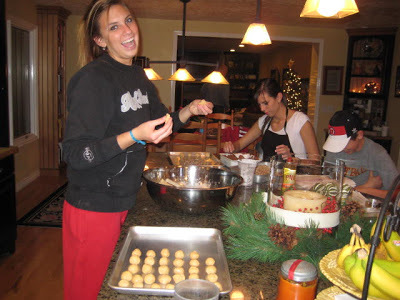 She made buckets of peanut butter balls (and about 10 other types of cookies) every Christmas, and shared them with friends and family. My kids still love these treats, and ask for them every Christmas. In the years when I skipped all other baking, aka “The Lost Years” (when I had Brooke and Stephen in diapers and high chairs at the same time) this was the one and only Christmas treat I made, every year, without fail. My kids love them. Grant loves them. We make batches and place in fridge or freezer. They keep FOREVER. Sometimes a container will get buried in the back of the freezer, and we’ll discover it long after the Christmas decor has been put away. It’s like finding a $20 in your coat pocket. Don’t you love that?!! This recipe only requires 5 ingredients. How great is that? Start by mixing the softened butter and peanut butter until they are blended together and smooth. Add the powdered sugar and mix until the peanut butter mixture is dry enough to roll into balls without being too sticky. Then, roll the balls into about 1 inch in diameter. Place them on a cookie sheet. When you’ve filled up the cookie sheet, stick them into the fridge or freezer to chill. Its that simple No baking, if you can mix, chop, roll and melt a little chocolate, you’ve got this! 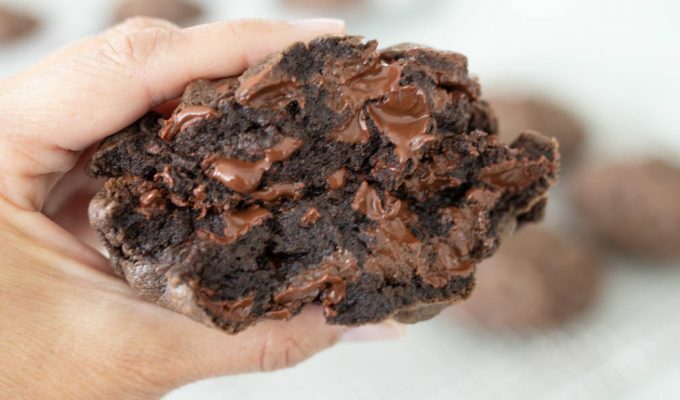 They are the ultimate make-ahead treat. While the peanut butter balls are chilling, toast the nuts. Confession. Many times I skip this step and just chop the nuts in the food processor. After the balls are formed and cooled, dip in chocolate and roll in nuts. We always melt the chocolate in the microwave to speed up the process. 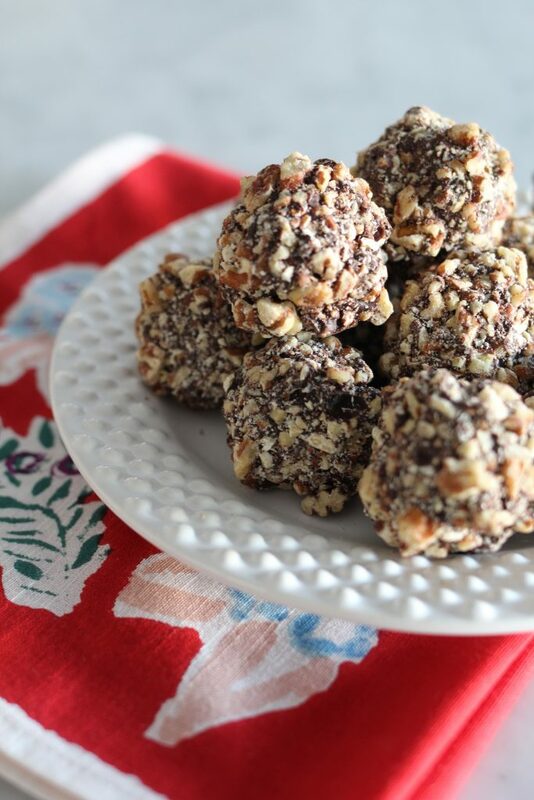 Peanut Butter Balls keep for a long time in the fridge and an even longer time in the freezer! Mix the softened butter and peanut butter until blended and smooth. You can do this in a food processor, or with a hand held or stand mixer. Add powdered sugar, mix until the peanut butter mixture is dry enough to roll into balls without sticking. If using a stand mixer or food processor, pulse or turn off and on quickly a few times and then mix on low just until blended. You may need to add more powdered sugar. Add a little at a time. These should be a little dryer than the consistency of chocolate chip cookies. If the mixture is too dry, add a little milk. Roll into balls about 1" in diameter. Place on a cookie sheet in single layer, when the cookie sheet is full, place in the freezer or refrigerator until thoroughly chilled. Spread half the nuts on a baking sheet. Place in a preheated 350 degree oven for about 10 minutes. Remove and let cool, coarsely chop half of the nuts by hand on a cutting board. Place in a 9x13 pan. Put the rest of the nuts into a food processor or blender and chop fine. Mix with other hand chopped nuts. Set aside. Place the chocolate in a glass bowl in the microwave or on the stove in a double boiler. Be careful not to burn the chocolate. In the microwave, melt at 30 second intervals. Remove and stir. Heat just until chocolate is melted. To assemble: create an assembly line- peanut butter balls, melted chocolate, chopped nuts, empty pan at end. Remove pb balls from refrigerator. 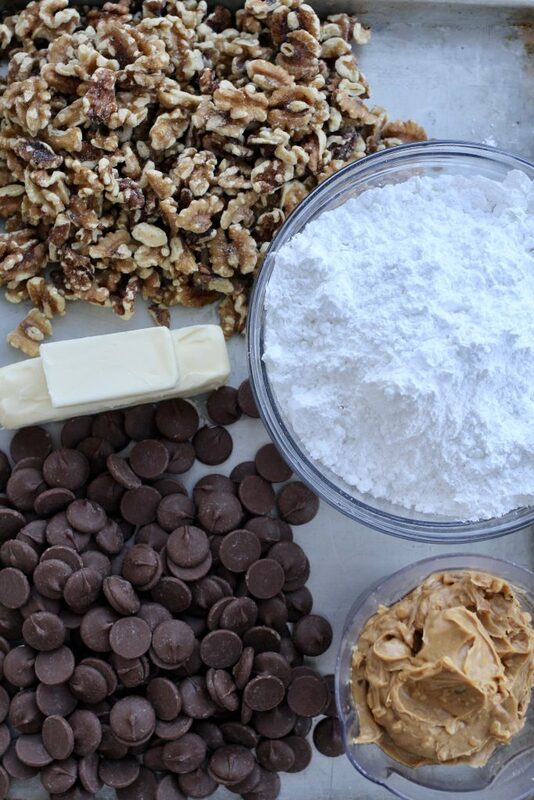 Dip into melted chocolate, then roll into nuts. Place back on another cookie sheet or pan, and refrigerate. After they chocolate is set, remove and store in Tupperware, Ziplocks bags or other covered container. These keep well for a long time in the refrigerator or freezer. I often skip the toasting of the nuts if I'm in a hurry, which is most years! The toasting of the nuts give a bit of extra crunch. Do not use natural peanut butter. I recommend Skippy or Jif crunchy peanut butter. You may purchase wither dark or light (milk) chocolate for this recipe. I prefer light, but occasionally make dark as well. The peanut butter balls in the photographs on this post were dipped in dark chocolate. If you haven't made these yet this year then wait for me…….I have been thinking about them all week but no time! They look delish! How many balls does one recipe yield? I think we’ll definitely try these! What kind of dipping chocolate do you use? I usually purchase Ghirardelli from Orson Gygi or dipping chocolate from Mrs. Cavanaugh’s in Bountiful . Both are excellent quality! YES! They sell in 1lb bags. Dark, milk and white chocolate discs. And easily GF too! Thanks so much! YES! Such a great treat. Never thought about them being GF! Is dipping chocolate the same as chocolate almond bark? Almond Bark is made with animal fat instead of cocoa butter. It is less expensive thank dipping chocolate, and rightfully so! I think you will taste the difference if you use dipping chocolate. Hope this helps! Making these this weekend for our annual chocolate dipping extravaganza! How fun Tami! These have been a tradition in our family for years, cannot wait to dip these with my daughters in about a week! The picture of the Lauders with Sheri Ann and Janay has me (Aunt Nan) in it, not Doreen. Also, mother did use natural peanut butter that separated–she would strain off the oil from the peanut butter before she mixed the peanut butter with the butter. Mother got the recipe from a co-worker at The Darling Dress Shop in Medicine Hat, and I was the first one to make the recipe. We then modified the original. It called for semi-sweet chocolate melted with parafin wax for the coating. Mother decided that dipping chocolate would taste much better–which it did. The original also suggested you could dip the balls in coconut or nuts, which we sometimes did, and we never toasted the nuts. I’m sure toasting does add to the taste. Thanks so much for your comment and corrections! We had no idea this was you and not Doreen. 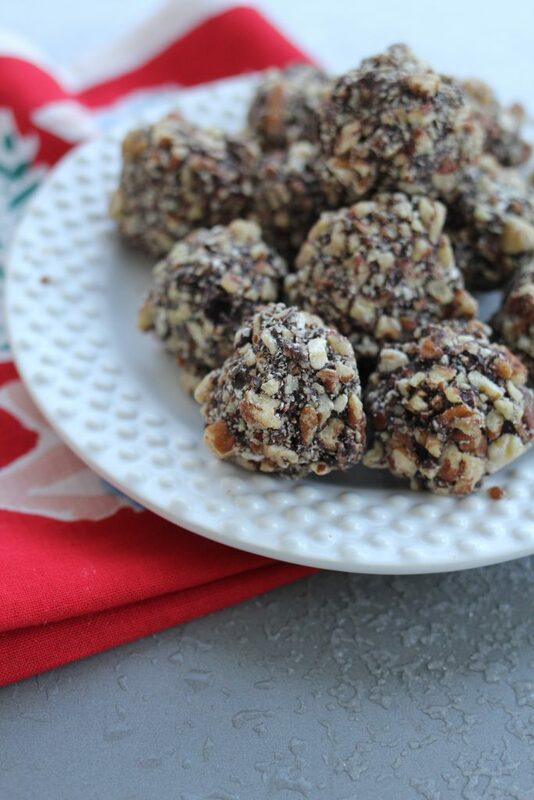 We have loved making and eating peanut butter balls for years and have fond memories of your mom making them for us. Merry Christmas to you and your family!